I was inspired by this little girl who had to endure so much at such a young age. Sophie displays a great strength of character which I hope is reflected in my tune. The tune started out as a slow air, but soon developed into this Spanish sounding reel, with lots of life. Played on Maurice Reviol F whistle. The first reel I wrote after an incident at the Koroit Lake School of music in 2007. The second tune I wrote after an incident at the National Folk Festival in Canberra some years ago, when a girl asked Dicky Deegan to try a spoonful of wasabi, and the tune came from poor Dicky's reaction to that. The third tune I wrote whilst waiting for my daughter at her violin lesson. 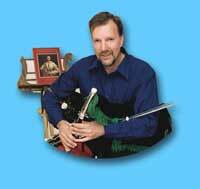 Played on Michael Burke D Whistles, Concert D Alain Froment Uilleann pipes. A six part jig I composed after the birth of my first daughter Caitlin in 1990. I play the tune on a Reviol F whistle which is a fantastic instrument. I believe the first jig is a Scottish jig, I heard it played at the Koroit Lake School a couple of years ago. The Trip to Bantry is another tune I learnt from the Koroit Lake School. Played on Concert D Alain Froment Uilleann pipes. This is one of my favourite pieces of music (Carino) written by Chris Spheeris. A beautiful melody expressing the pain and ecstasy of love. Played on Maurice Reviol F whistle. These three tunes I heard played at a session in England. The middle tune Edinburgh Rock is in F# minor, which is a great key for the pipes, giving the tune a driving rhythm. Played on Concert D Alain Froment Uilleann pipes. When I was young, I remember my Dad singing this tune whilst he was shaving in the morning. It reminds me of Sundays and sitting down to a roast lunch with the family. Played on Colin Ross C Northumbrian Pipes and Maurice Reviol G whistle. These two jigs come from a Celtic part of Spain, and have a definitive sound to them, different to an Irish or Scottish jig. They have a lovely rhythm. Played on Jonathon Swayne A and D wooden whistles and Concert D Alain Froment Uilleann pipes. Peter HIBBARD was a friend and work colleague who tragically passed away in January 2007. 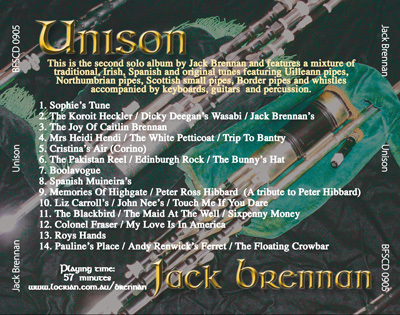 The second tune I wrote in memory of Peter, the first tune was written by a great South Australian Scottish fiddler Cathy Fraser. Both tunes I dedicate to the memory of Peter. Played on Maurice Reviol Eb whistle, Robbie Greensitt Scottish Smallpipes and Border pipes. Three reels that are great to play at a cracking pace. Touch Me If You Dare I first heard played by the brilliant Irish box player Paddy Fitzgerald who now lives in Melbourne. Played on Concert D Alain Froment Uilleann pipes. The blackbird was a favourite tune of my Irish Grandfather John BRENNAN who played the fiddle and was a champion dancer. All three tunes are played on a Bb set of uilleann pipes made by Geoff WOOLF, and kindly lent to me by Bob LYNCH. The Bb whistle is made by John SINDT. Two great piping reels, the first tune is believed to have originated in Scotland, the second tune was made popular by the famous Irish piper Johnny DORAN. Played on Concert D Alain Froment Uilleann pipes. I believe this tune is also known as 'Rocking The Cradle'. 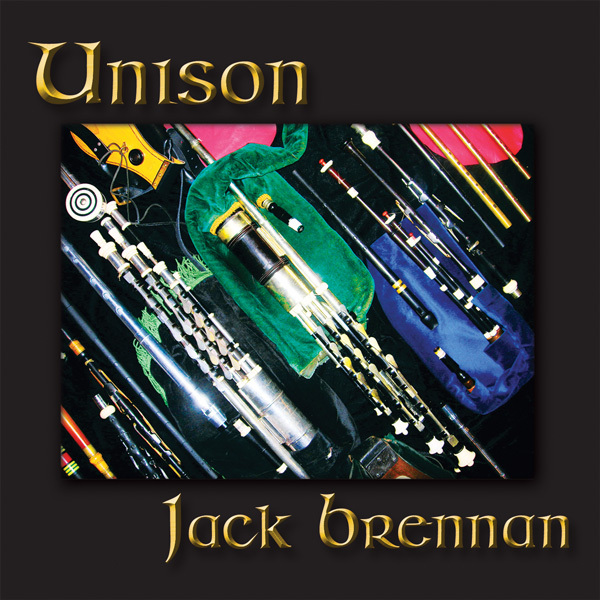 I first heard it played by Finbar FUREY, one of the finest pipers I have heard. Played on Concert D Alain Froment Uilleann pipes. I wrote the third part for Pauline's reel. Andy Renwick's Ferret I learnt from Dublin piper Martin NOLAN, when he came to Australia in 1990. The floating crowbar I heard played by the group Lunasa. Played on Concert D Alain Froment Uilleann pipes.